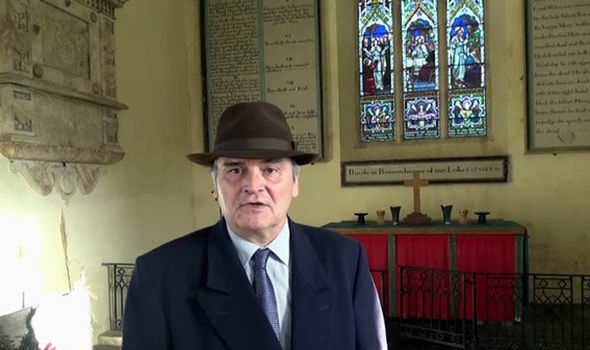 A FORMER detective believes he may have once travelled through time in a church. Chris Halton, who was a field intelligence officer and plain clothes investigator for Essex Police, detailed the extraordinary incident to a stunned conference audience. Mr Halton runs the paranormal YouTube channel Haunted Earth TV, and films himself in historical locations looking at their history and any paranormal events. Mr Halton is known as the Man in the Hat due to his trademark accessory he wears. He said that while filming one episode in a church, he felt as though he had travelled through time. He told the Paraforce UK conference in Witham, Essex, of his experience. He said: “I had been in the church and felt uncomfortable. “Through my eyes, I could see the church changing like there was a tapestry on the wall flashing like I was going back through time. “I felt like I was sucked into this. Mr Halton said he did not change locations during the experience and remained in the modern day, once it was over. Time travel is yet to be possible, and scientists say one would need to travel at faster than the speed of light for it to potentially happen. Mr Halton also attempts to make contact with ghosts in his videos, and claims to have communicated with the dead.